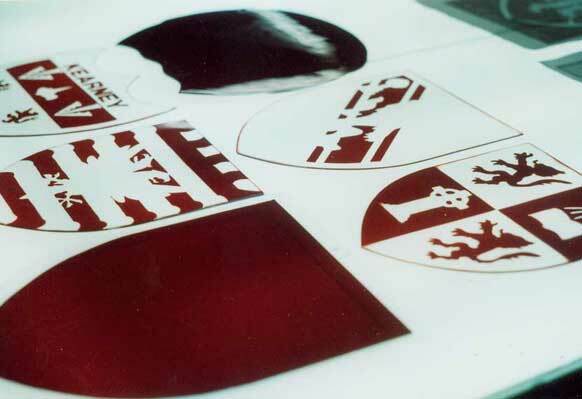 Acid etching is a technique where a flashed colour is etched off the surface of a colour in the body of the glass. (Other means, such as sandblasting, are cheaper and quicker but coarse and vulgar). The Cummins and Stehn studio prefers the fluid delicacy of acid etching. 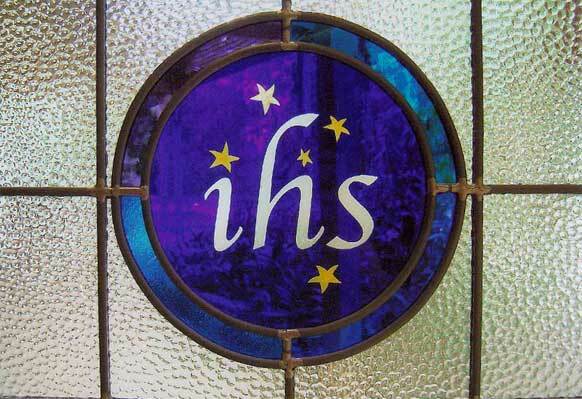 The acid etching of one of six house crests executed for St Joseph’s College in Brisbane. It is a mouth blown French flashed red on clear glass. The areas that are to remain red are masked off and the acid applied to the areas where the red is to be removed. 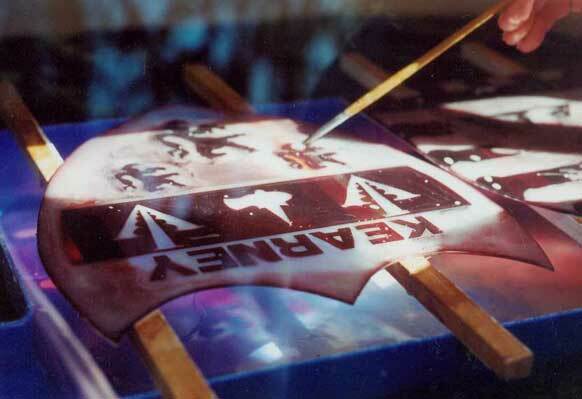 This photo shows the etching process inside a fume cabinet. The acid used is hydrofluoric. It is extremely dangerous. 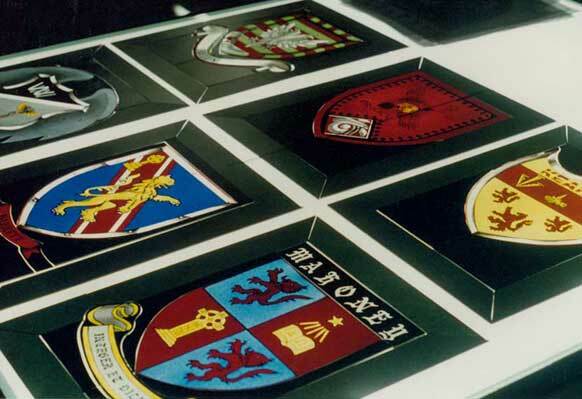 Four of the six crests have been acid etched. The six crests after they have been acid etched, painted and stained and are ready to be leaded together. A recent example of flashed blue on clear acid etching with yellow kiln fired enamels on the stars.